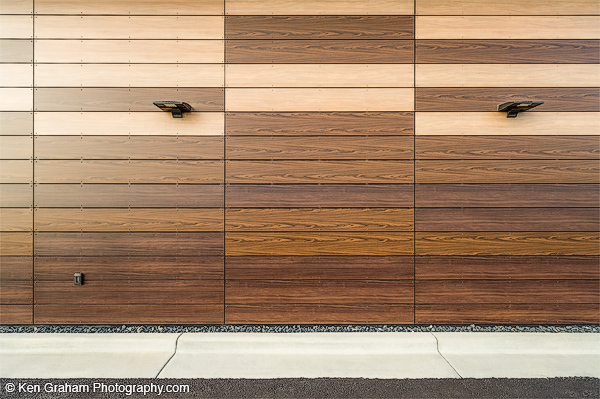 Stonewood panels in various solid and woodgrain designs adorn a brand-new retail mall in Anchorage, AK. Spark Design stylized the six-unit building with urban-inspired details, modern sensibility, and a seamless design flow. Stonewood Panels cut as planks in various mixed woodgrains offered a warm contrast to the clean modernity of the solid black panels embellishing the roofline. 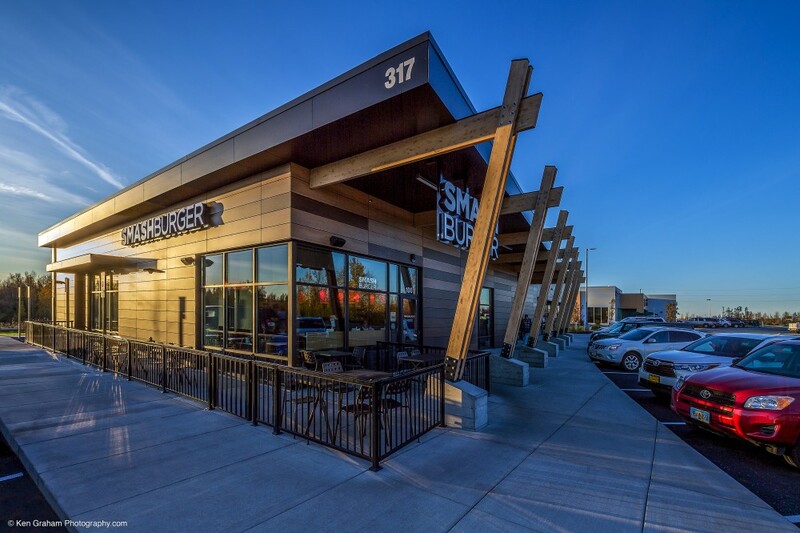 The finished retail mall features an Orange Theory Fitness Center and Smashburger restaurant.